Deciding you need a bench grinder is an easy part! Choosing which one is actually suitable for your personal needs is a whole new, different ball game. Tempting as it may be to have all the biggest tools and toys in the yard, give yourself a reality check before you leap on it, all big guns blazing, and pick one that you won’t ever have the right project lined up that requires its high-tech functionality. If you’re not even quite sure just yet what features and benefits you need to be looking for in a bench grinder, don’t despair! In our comprehensive buyer’s guide today we’re going to be running you through our product selections as well as some top tips and tricks that we hope you will find useful. By the time you’ve finished reading out Best Bench Grinder review, you will hopefully have all the gear and the idea of precisely what you will be doing with it for your first DIY project. Let’s get down to the grindstone, as they say, starting out with our Best Choice product which comes from a brand that even those of you who are ignorant to the wonderful world of tools will have heard of. Get your motor running! In this case, we’re starting out with a 3/4 hp induction motor from DeWalt in their DW758 Bench Grinder that is a powerful unit perfect for both domestic as well as commercial use. It’s an impressive product as you would expect from this world-renowned brand and is capable of running at an impressive 3,600 RPM without compromising on quality or consistency. Look after this machine well, and it has years of staying power in it. There’s a tool-free adjustable guard too which makes for speedy and efficient installations and adjustments. So far, lots to love! Combine all of that with rugged design looks, and quality construction plus an affordable price and you are on to a winner, hence why we’ve chosen the Dewalt bench grinder as our Best Choice today. With a cast iron base it’s a reliable, heavy and durable bench grinder, excellent for all kinds of different grinding operations. There’s a 12.5-inch distance between the two wheels which delivers plenty of flexibility for large and small projects, and it’s smooth and efficient to operate. And it fits perfectly any portable workbench. We’ve taken things up a notch, price-wise at least, with our next 8-inch bench grinder from Jet, but when you realize it’s capabilities, you will soon understand why it’s been picked to feature as our Premium Choice. 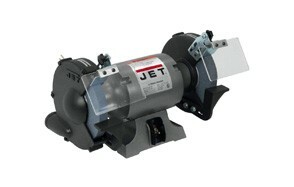 The Jet 577102 JBG-8A can handle a wide range of varied projects thanks to that 1 hp motor which delivers 3450 RPM. That’s more than enough power for heavy grinding and even suitable for industrial style applications. With all that power, it still manages to run smoothly, and there’s very little in the way of vibration which is a real bonus for the end user. The noise level is also relatively minimal for such an impressive unit. It can be bolted down if necessary or secured to the bench with rubber feet. At 56 lbs it’s not exactly lightweight, but it’s not overly burdensome either for a machine of this caliber. With cast iron wheel guards, dust vents and pre-lubricated sealed ball bearings, this Jet 577102 JBG-8A is durable and should support you for years to come. It effortlessly grinds, sharpens and smooths with equal precision for flawless and professional results. This makes a perfect DIY gift for handymen in your life. Next to get the full review treatment is the Rikon Professional 8-inch bench grinder which is about to make the sharpening of those tools and all-round general grinding jobs so much easier to carry out at home. Whereas lots of bench grinders operate at 3450 RPM, this unit has a much lower speed of 1750. Don’t let that put you off though as it means that you can more easily remove metal plus it minimizes the risk of any overheating which can damage your tools. That said, this 1/2 HP, low-speed grinder, is still plenty big enough to tackle a whole range of jobs that you might typically expect to find being carried out in production workshops. For example, it’s perfect for finessing, shaping and sharpening a variety of tools, like circular saws, axes etc. The Rikon features tool extra large tool rests and has wheel flanges made from cast metal. The Grinder itself includes dual dust collection ports and is fitted with a cast iron base with rubber feet that help to keep the unit steady and reduce unwanted vibration. Adjustable safety shields are also included for your protection as well as adjustable spark shields which help to keep your safe from potential hot sparks. A flexible LED work light is also included. Manufacturing tools since 1906, Porter Cable have an enviable reputation for delivering quality products that their variable speed 5 Amp powered bench grinder is certainly no exception. Whatever your grinding, sharpening, shaping or surfacing needs, this Porter Cable variable speed bench grinder is more than up to the job. It’s ideal for looking after garden tools, drill bits, knives, and lawn mower blades. With its heavy and dependable cast iron base fitted with rubber feet, it delivers durability as well as minimizes movement and vibration during use. Conveniently located on the front of the machine is a knob which easily adjusts the speed from 2000 to 3400 RPM plus there’s a built-in work light on a flexible gooseneck which delivers better illumination of those work surfaces. Both a medium and a coarse 8-inch wheel are included for work on different materials, and these can be quickly and easily removed. There’s also a removable quench water tray which can be used for cooling workpiece during grinding operation and helps prevent any over-heating. Another convenient little extra feature is a wheel dresser which can be used for cleaning and reshaping the grinding wheel in between uses. Seems like they really have thought of everything! 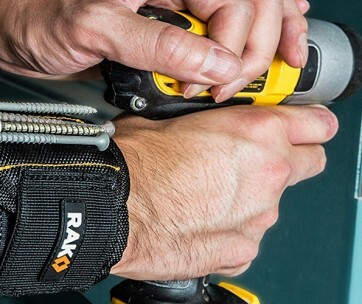 If you are a passionate handyman, check out our guide to the best nail guns as well. The Metabo DS 200 is a superb 8-inch bench grinder that is sturdy, robust and of high-quality construction. With low vibrations as well as low noise output, it’s a pleasure to use unlike some of the other beasts of machines that can be cumbersome and leave you feeling fatigued after using. Don’t let that fool you though, this is still a powerful machine with a good sized motor which can deliver 3570 RPM, so it’s more than up to the big jobs too. Setup is relatively quick and straightforward, and you can be sharpening all those tools in your workshop like a pro in next to no time! The Metabo unit features a push on/off button with conveniently colored red and green buttons which might seem like an obvious choice but they do really make life simpler. Better still, you will notice that the red button is intact slightly raised too so it functions even better as a visible emergency button should you need it. Great build and quality, plenty of functionality and minimal vibrations make this is a solid choice. Be sure to also check our guide to the best digital calipers, for more great tools like this. Our first 6-inch bench grinder is up next and its the Wen 4267 which has 3/4” wide wheels which for most personal DIY projects is going to be perfectly adequate. It offers a flexible and versatile solution to most of your grinding needs and includes a 60-grit and a 36-grit wheel. The 60-grit wheel is perfect for general purpose grinding while the 36-grit wheel really allows you to move materials faster. Fitted with a 2.1 amp motor, it runs quietly so even if you are working all hours on a project out in your garage, you shouldn’t run into any complaints from the neighbors! It’s quick and easy to operate, runs steady and smooth and can reach up to 3450 RPM. All of that means that you can get jobs done quickly, efficiently and also safely too, thanks to the inclusion of eye guards. 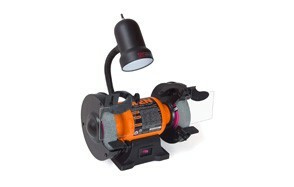 There’s also the flexibility to adjust your work light too so that you can be sure to get the best possible job done. The heavy base is stable and reliable and reduces the chances of wobbling during operation as well as ensuring safe mounting. 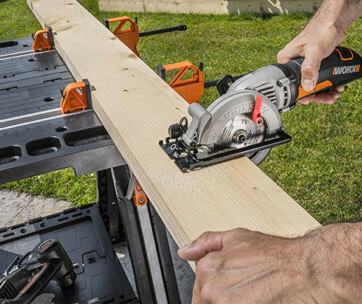 Our handy guide to the best electric chainsaws features more great products like this. We’re sticking with the smaller style 6-inch bench grinder without next product review of the Skil 3380-01 machine which just like our previous entry, the Wen 4567, utilizes a 2.1 amp motor and delivers up to 3450 RPM for increased power when you need it most. Incorporated with this unit are two overhead LED lights, one each over both wheels rather than being located centrally. This is a simple but brilliant idea as it really does help you to hone in and focus on the area you are actively working on. The Skill 3380-01 also features adjustable tool rests too so that you can safely hold and store those tools when you are grinding. There are two wheels as we already mentioned one each with a coarse and a medium surface so that you can accomplish a variety of projects conveniently without the added expense of having to purchase any extra pieces. Eye shields are once again included for your safety, and the base of the unit is made from cast iron which means that it’s solid, sturdy, long wearing and stays put when you are working. With little rubber feet too, the base becomes even more secure. Besides all of that, there’s also a generous 3-year warranty included from the manufacturer. You may not be able to put this tool in your tool box, but it is definitely something you need to have handy. The Powertec BGS801 gets the treatment next, and it’s another prime example of a quality 8-inch bench grinder which has a couple of unique and noteworthy features. This unit is slower than some of the others we’ve reviewed but don’t let that fool you. There’s a reason for that which you will come to appreciate. With an RPM of 1725 it’s designed to stop tools from overheating yet it still packs a powerful punch with that 1/2 hp motor that delivers a smooth, quiet and reliable operation. As bench grinders go, this is an excellent one that makes easy work out of all kinds of grinding operations. It’s made from aluminum oxide which is why it produces less heat than many other grinding wheels on the market. Not only that, but the vibration is pretty minimal too and overall the machine is stable thanks to that heavy gauge steel base. If you are looking for something that can deal with heavier applications, then this probably isn’t the machine for you but for sharpening tools and light grinding it really is excellent value and has plenty of staying power. If you spend much time in your workroom, check out our guide to the best random orbital sanders cause they can really come in handy. The Craftsman 921154 is a smart choice if you are looking for a domestic rather than commercially suitable bench grinder and comes with a host of useful features that we’re sure you will appreciate. There’s a handy light which helps to illuminate your work area, tool rests, eyes shields, spark guards as well as water cooling try. This is a variable speed bench grinder so it can accommodate a versatile range of consumer needs. With a 1.5 HP electric motor, delivering 2.5 amps and speeds of 2000 – 3400 RPM it’s pretty well rated as you would expect from this reputable manufacturer. Overall this Craftsman bench grinder os easy to assemble, safe to use, and delivers smooth and quiet operation. It comes with a tool guide for each of your grinding wheels so that takes out the guesswork and additionally various other abrasive tools can be purchased to fit this unit depending upon what kind of project you are working on. The wheels guards are quick and convenient to change, and the large cast iron base helps to minimize vibration when in use. Find more great products like this by checking out our guide to the best torque wrenches. The final product in our best bench grinder selection today is from Sunex, and it’s their 5002 model that comes complete with a 40-watt work light, two spark guards as well as safety shields for your protection. It’s a quality product, expertly constructed to be both durable and long lasting. While Sunex may only have been producing tools since 1977, they are experts in the automotive repair and heavy-duty industry, and this is an excellent bit of kit. With a durable, rugged cast iron base, vibrations during use are kept to a minimum plus there is a handy aluminum tool rest which holds your tools steady during that grinding process. The goose-neck work light is highly flexible and helps to illuminate those all-important projects. It comes fitted with a powerful 5 Amp motor delivering 3/4 HP and a speed of up to 3450 RPM. Plenty of power and reliability plus robustly constructed. Don’t forget to also check our guide to the best bench vises for more great tools like this. Buying a bench grinder is definitely going to be a considered purchase and not something you should be lightly jumping into. Before you do go ahead and take the plunge, it’s essential that you first identify and recognize your needs, set out a pre-determined budget and consider any reputable brands that you might feel more comfortable purchasing from. 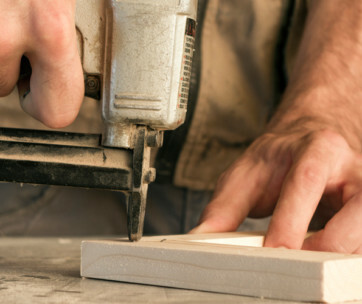 With power tools, we wouldn’t encourage you to take any risks. While some lesser-known brands may well be up to the task, make sure that you have thoroughly done your research first or at the very least, had a good read of our comprehensive guide. While the most expensive product isn’t necessarily always the best, this is one category of product where you absolutely need to be confident that what you are purchasing are quality manufactured goods. While you might think that the purpose of a bench grinder is pretty self-explanatory, the clue is in the name, after all, don’t just limit yourself to that view. You might be surprised to learn just how versatile that bench grinder really is and if you are looking for extra ways to justify the expenditure, we’ve got a handful of practical uses that your versatile grinder is more than up to the job of fulfilling. It’s not just about shaping and sharpening metal, it’s also about cutting and cleaning it too. Just think about all the practical applications as well as the skilled trades those benefits can be utilized in? From building furniture and leveling out joints, to removing group and raising nail heads, your grinder can be used for all kinds of Carpentry and Flooring needs. Need to remove some old paintwork? Well that grinder you’ve just invested in can also be used instead to sandpaper only get this, it’s faster and more efficient! Need to cut outworn away pipes for a DIY home plumbing job? Again, with a craftsman bench grinder in your man cave, workshop or garage, you really can be a Plumbing Pro. You might save yourself a heap of money in the long run just by saving call outs of all kinds of professionals you usually have to enlist the help of around your home. There really are so many practical applications that you will find yourself using that new bench grinder for, you’ll wonder how you ever used to manage without one. If you have already been through our top ten product recommendations in the best bench grinder category, then you will have noted that they all fall into one of two categories in terms of their size. Either 6-inch or 8-inch. That measurement refers to the size of the actual grinding wheel and generally speaking, an 8-inch s used more by the industrial or professional trades. Besides the grinder size, the other thing you need to decide upon is what type of wheel to go for. So that you can make that decision easier, we’re going to quickly run through the various types but roughly speaking, the kind of wheel you go for should be related to the sort of materials you intend using the grinder predominantly for. Materials which are hard and more brittle will require a softer grade wheel while conversely, softer materials respond better to a harder grade wheel. Below are the most common types of wheel you are likely to come across. Straight Wheel - Overall this is the most common type and is suitable for application just as sharpening chisels and other tools. They can come in various sizes and are appropriate for surface grinding. Cylinder Wheel - This is a hollow style wheel, and it has limitations in that it can only be used with vertical or horizontal bench grinders. Typically there are much larger in size and are great if you need to produce a flat surface. Tapered Wheel - With this type of wheel, it tapers off towards the edge and therefore can be useful for working on more delicate projects. Besides the considerations which we’ve already laid out above, there are a couple of other key types of grinding machines that it’s worth being aware of. These are a Die Grinder and an Angle Grinder. The former is a hand-held rotary style tool that you can use to grind, sand and polish. The latter is yet again, a portable tool and is great for grinding and polishing. These tools, being much smaller in size, are better suited to more delicate or intricately detailed work plus they also have the other big advantage of being far more portable. What they do lack, however, is the power and versatility that comes with a bench grader so if you do have a workshop or space for a DIY station at home, a bench grinder is definitely going to give you more value and versatility overall. Q: Does my grinder require any maintenance? A: As a general rule of thumb, your bench grinder will require the same kind of maintenance as any of your power tools do. Additionally, it will have one very special requirement, and that’s the wheel dressing. Wheel dressing is important to reduce wobble and to expose fresh grit so that you can continue to get the best results from your purchase. It’s always a good idea to routinely check your bench grinder and to ensure that it is always stowed away safely plus remove any dust and debris each time you’ve used your machine. Q: How often should I replace my wheel? A: The regularity with which you might need to change your wheel is related to how often you use your bench grinder and the kinds of materials that you are also more commonly grinding. As with any tool that features moving parts, besides being routinely maintained, they will need to be replaced if they are beginning to wear out. A visible check of the state of your wheel should alert you as to whether it’s time to get it changed. Q: What safety issues might I experience using my grinder? A: The principal safety issues to be aware of are flying sparks and debris. That’s why you will note that most of the professional quality units we reviewed in our Buyers Guide come fitted with safety eye shields and protective spark guards. 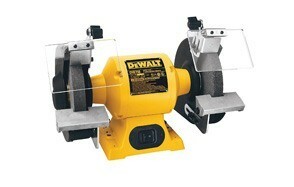 Our Top Pick and Best Choice when it comes to the best bench grinders is reserved for the Dewalt DW758. It’s durable, has an impressive RPM and comes with overload protection which ensures the longevity of your motor. It features tool-free adjustable guards and delivers consistent and commercial level grinding results.